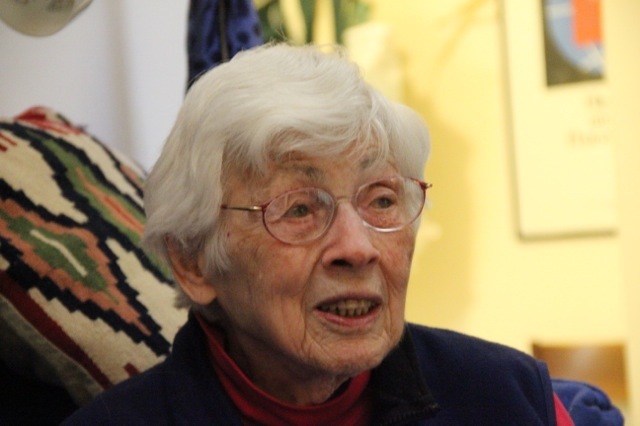 Suzanne “Sue” Harpole Embree – Recruited in College, she joined the Navy and became a WAVE cryptanalyst serving at the Naval Annex on Nebraska Ave in Washington DC. “I worked Language. 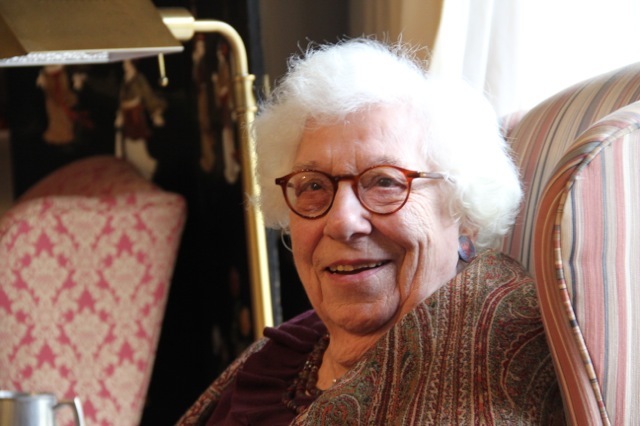 We were sworn to silence for the rest of our lives.” Sue said she repeatedly volunteered to go to Europe or the Pacific but Waves were not allowed to go overseas, only the nurses. 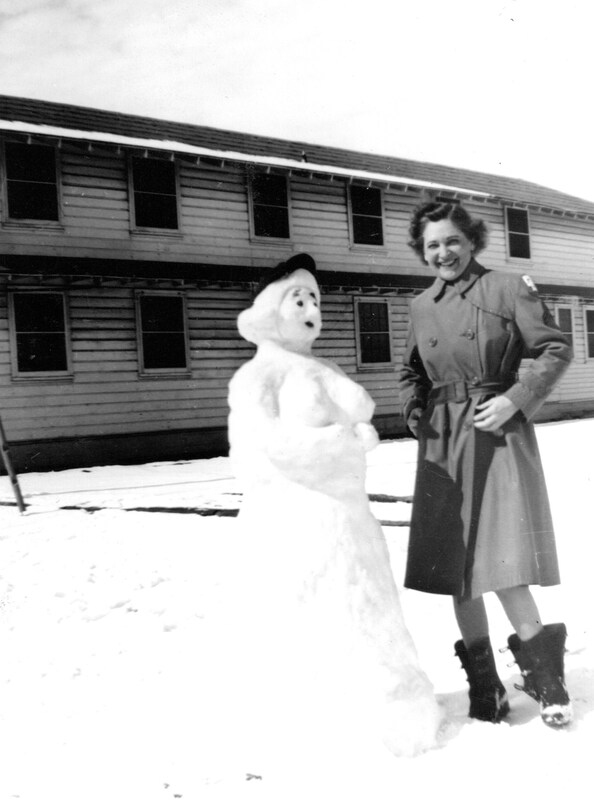 Mary “Ricky” Evans – Worked as a Cryptanalyst for the Army at Arlington Hall as a Civil Servant. “I worked Machines.” Working machines did not literally mean that she ran equipment but meant that she deciphered the numbers generated by machines. The Army sent Ricky to school to learn Japanese, then later to learn Korean and Russian. 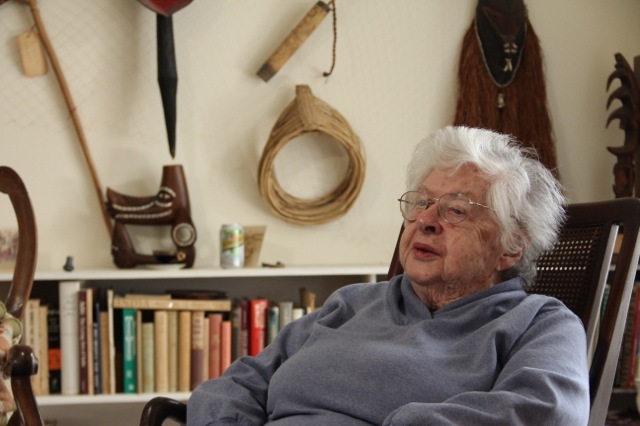 After WWII, she continued to work in cryptology during the Korean War. 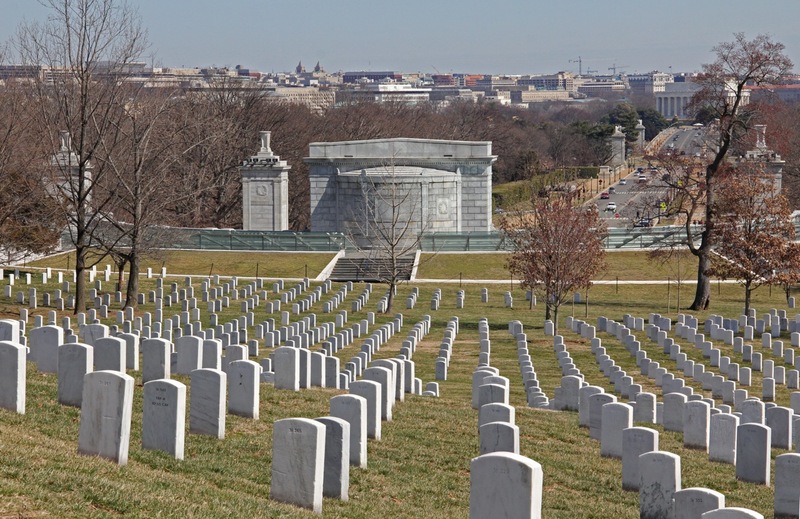 Her husband John Evans also worked as a cryptologist at Arlington Hall. 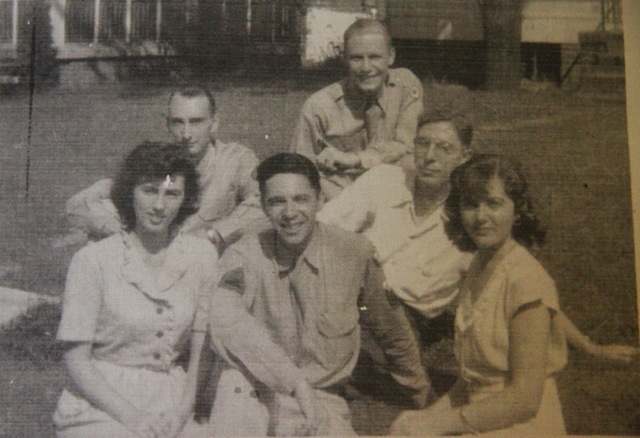 Ricky showed us this photo of her with the other cryptologists she worked with at Arlington Hall. She is seated in the first row far left. Mary Olmsted – First Council General and First Ambassador of Papau New Guinea during the 1970s. Mary said that the New Guinea natives called her ‘Number One Big Mama Mary”. 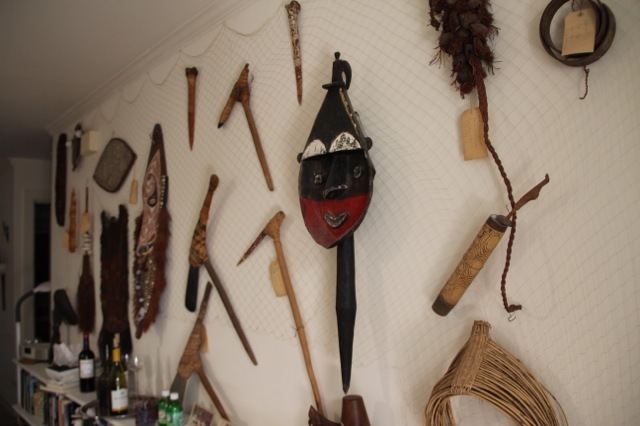 Notice the array of New Guinea tribal artifacts mounted on her wall. 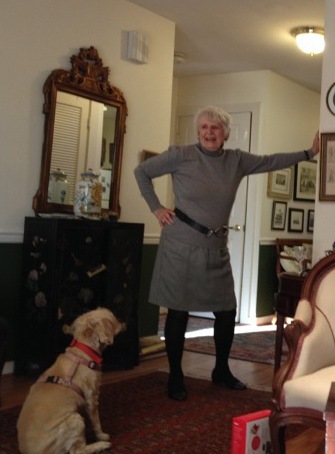 Anna Shea – Anna and her companion Bonnie in her Collington Cottage. During WWII, Anna worked for Socony-Vacuum Oil Company which later became Mobil Oil analyzing Japanese fuels. 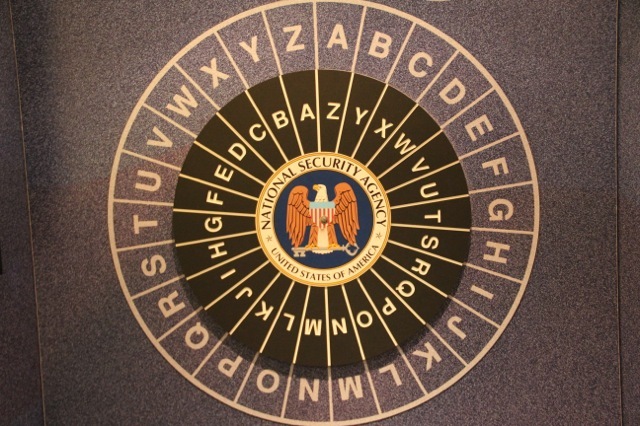 We spent our Saturday at the National Cryptologic Museum at Fort Meade, Maryland, www.nsa.gov/about/cryptologic_heritage/museum/. The Museum was packed with Boy Scouts, families, students and even a NSA police dog with his handler. We took a walk through cryptologic time beginning with the spin of a representative decipher wheel from the 1400’s. 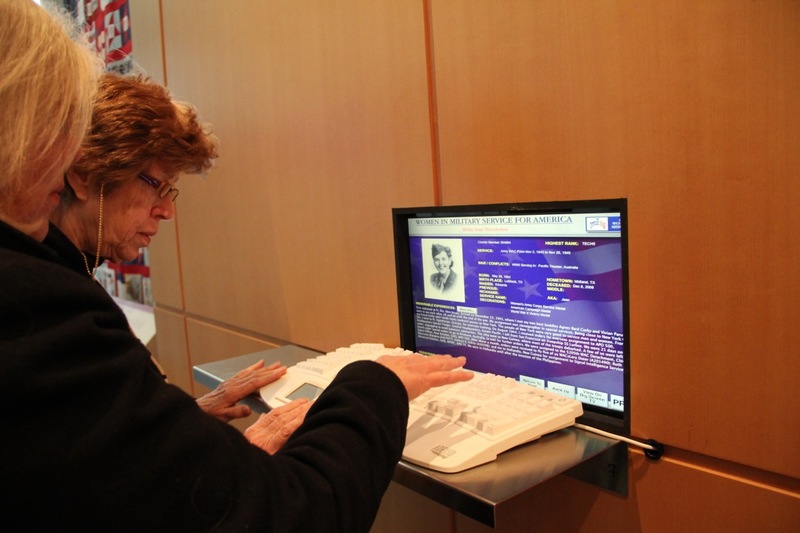 Down the Hall of Fame with honored walls featuring the African American Experience Cryptologic Pioneers and Women in American Cryptology. 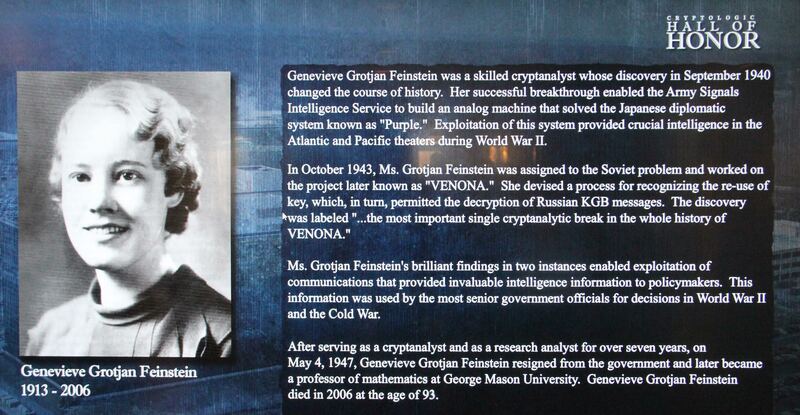 There I found Genevieve Grotjan who successfully broke elements of the Japanese purple code finding the key that enabled the Army Signal Intelligence Service to build an analog machine that solved the Japanese diplomatic system. Then into the WWII Era with hands on Enigma Machines, the Navy Bombe, Japanese code books, exhibits on the History of Midway and the Native American Code Talkers. So much to take in, a must for anyone interested in the history of Cryptology. We followed the progression through the Korean/Vietnam Eras to 911. 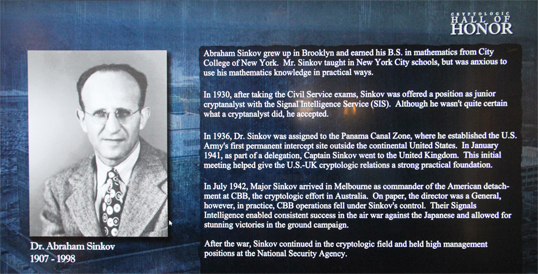 In another Hall of Fame with an interactive screen I found a short biography on Abraham Sinvok, Commanding Officer of Central Bureau Brisbane Signal intelligence in the SW Pacific. My mother received a Letter of Commendation from Col. Abraham Sinvok on 6 May 45. 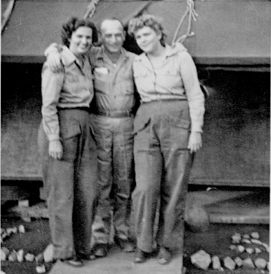 Check out the photo of Col. Sinkov known as “Abe” with the two WACS taken in New Guinea. Pvt. Billie Jean Nicodemus “Nicky” on the right and Cpt. Margaret Turner “Peggy” on the left. Arlington VA, we began our second day at the Women In Military Service For America Memorial Foundation. 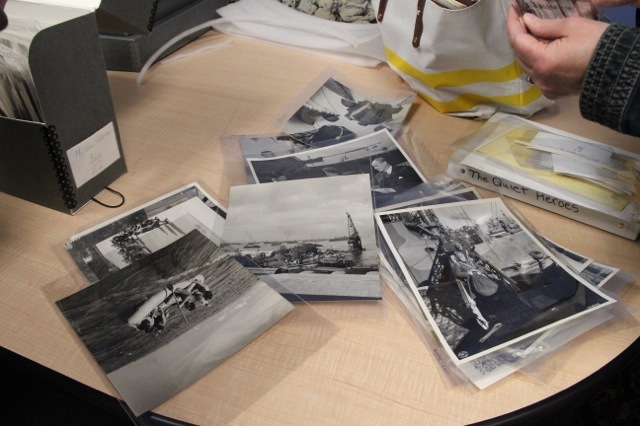 Britta Granrud, Curator of Collections pulled my mother’s file of photographs she had sent to the Foundation in the mid 1990’s. 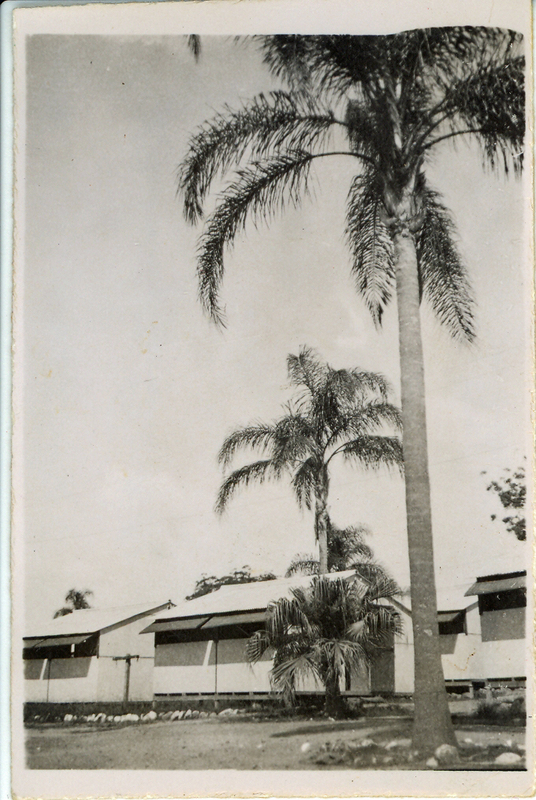 And there to my amazement was pics of my mom’s WAC Barracks in Yeronga Park Brisbane, Australia and Tent Barracks in Holandia, New Guinea, 1944. 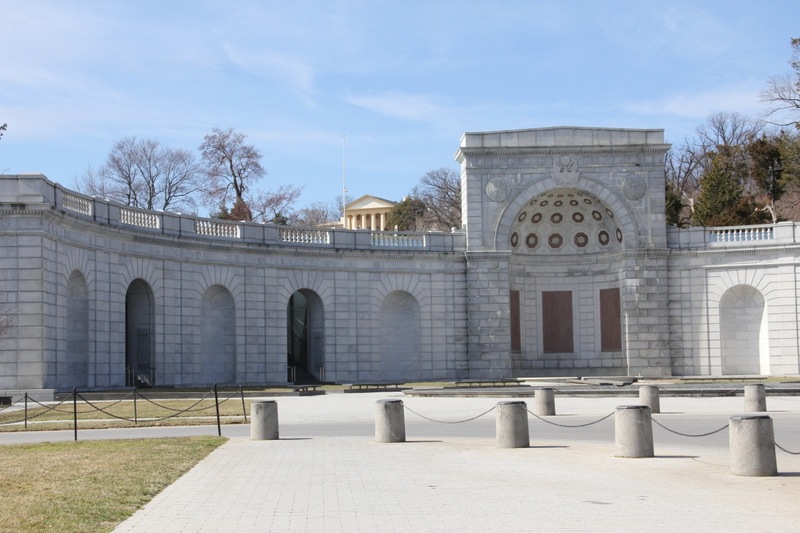 Onward to Arlington National Cemetery to the Women Military Memorial. 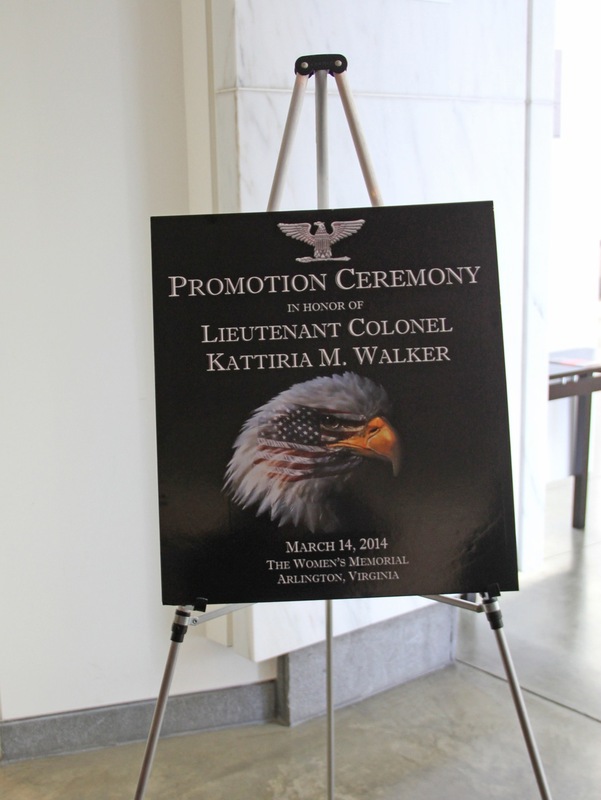 As we wandered through the memorials to the women of service, we came upon a Promotional Ceremony in honor of Lieutenant Colonel Kattiria M. Walker. 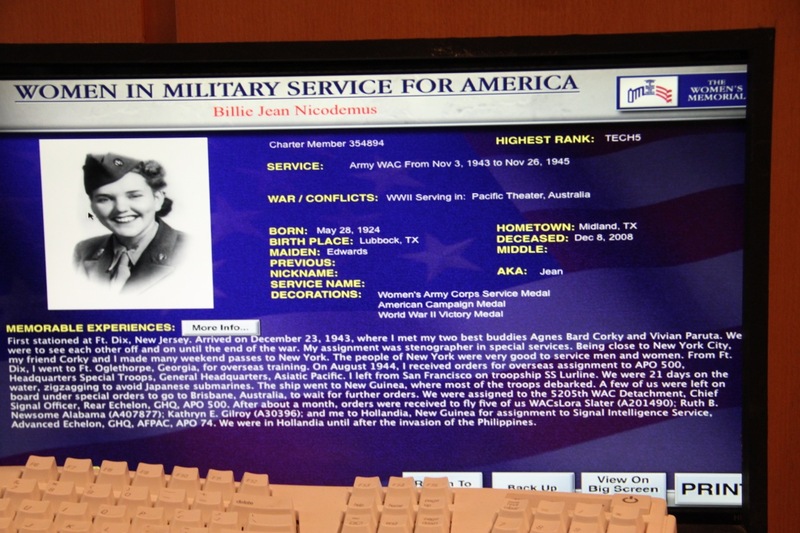 In the registry there was a bank of computers where I checked on my mom, Billie Jean Nicodemus Tch5. Her memorable experience had been posted. As we walked through the thousands of engraved stones it reminded me of how many stories of the fallen are waiting to be told. Fort Lee Virginia, first stop on our WAC Field Trip. Pook, my good friend from Knoxville, creative computer graphics photographer and artist extraordinaire has agreed to join me in this exploration as my official photographer. Our goal is to visit as many museum/archives as possible in one week to further my research on the WWII Signal Intelligence WACS of the Pacific. 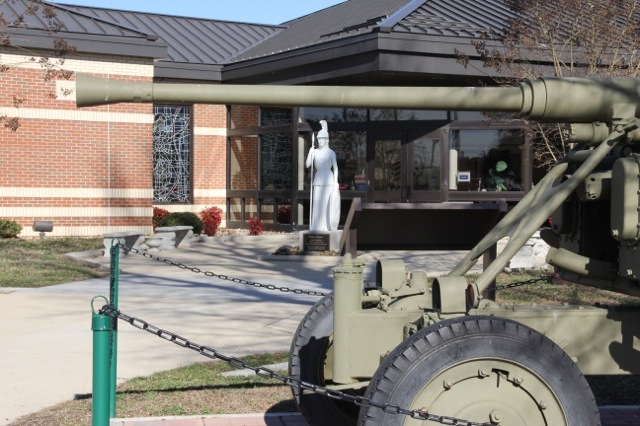 We’ve boarded the jeeps and are ready to take you along on our trip through WWII WAC history. Our first day was spent at the US Army Women’s Museum at Fort Lee VA. Amanda Vtipil, the Education Curator provided a most informative guided tour. Dr. Francoise Bonnell Director of the Museum led us into the archives. She pulled amazing WWII photographs taken of WACS in North Africa and Dutch New Guinea by photographer Captain Charlotte T. McGraw. 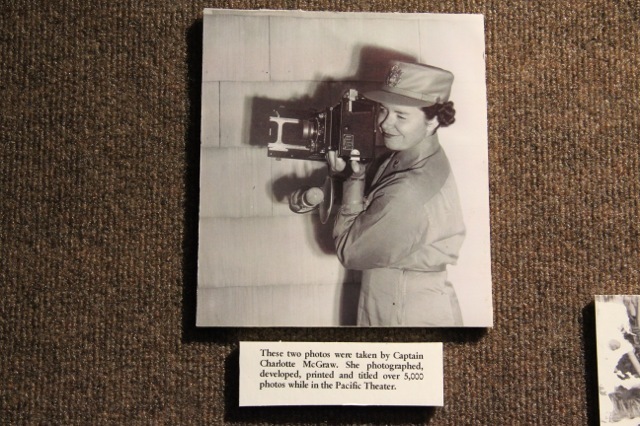 Captain McGraw produced over 70,000 images during WWII with 5,000 located in the archives. 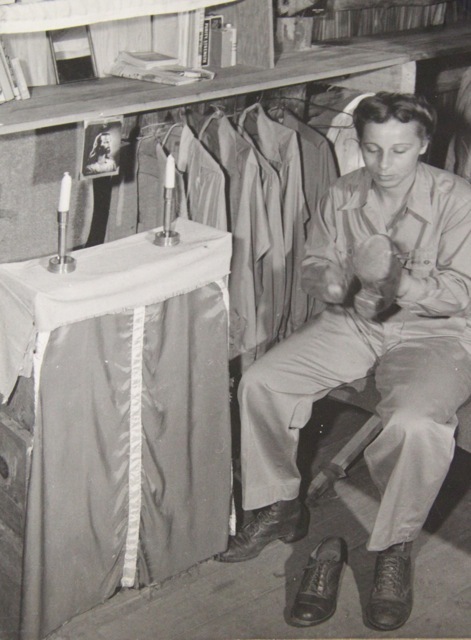 A photograph of a WAC shining shoes grabbed my heart for it had reminded me of a story I had read from the memoir of Vivian Purata, a WAC who had served with my mother at Fort Dix and then in Holandia, New Guinea. The WAC complement was called to a meeting by their Company Captain to tell them of a tragic accident of a WAC killed in a jeep accident. Vivian was ordered to shine the WAC’s shoes before the burial. It’s hanging in the museum. 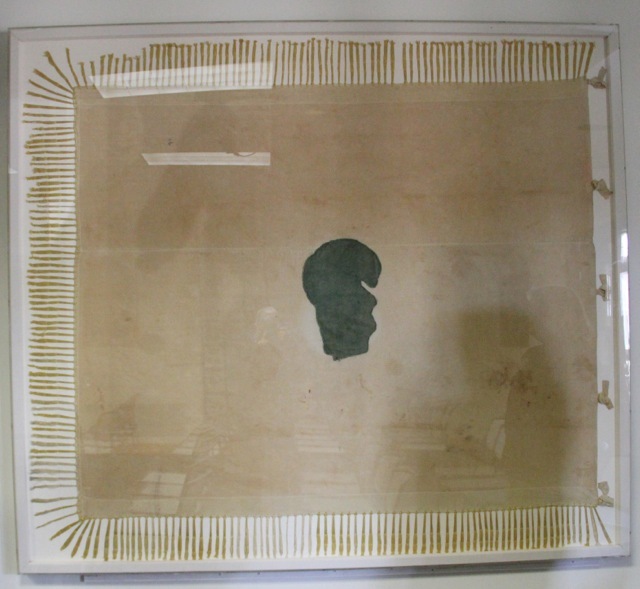 Silk and strings from a parachute were used to make the flag. The Pallas Athena was dyed green with Atabrine, the preventative the soldiers took to ward off malaria. 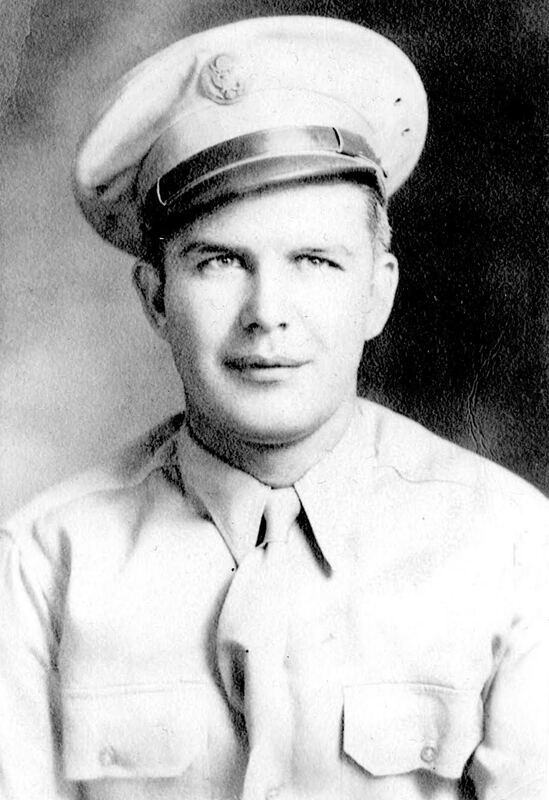 Today is the birthday of Sergeant Donald Lee Nicodemus born February 9, 1916 in Peru, Indiana. March 1942, 26 year old Nick met 17 year old Billie Jean Edwards at City Drug Store while stationed at Midland Army Air Field, the site of the largest WWII bombardier school in the country. City Drug was where the kids hung out and the GIs went to meet girls. Midland 1942: Citizen Soldier Edgar McCormick Finds Hospitality, Romance, an article by Todd Ed posted on the Midland Reporter-Telegram website on May 20, 2010, reveals what life must have been like for the young soldiers and airmen stationed at Midland Air Field and their impression of the bustling town of Midland and its people. By 1942, when Midland was busting out of its 10,000-population mold and heading to today’s 100,000 count and Midland Army Air Field (MAAF) was becoming the world’s and the United States Army Air Forces’ (USAAF’s) largest bombardier-training base, 28-year-old Edgar L. McCormick paid West Texas and Midland a visit. A scholarly recruit, he had just been drafted into the Army. And, after crossing the Mississippi River by rail, he and others recruits on “kitchen police” (KP duty) in the Texas-and-Pacific Railway baggage car watched the landscape change from “green pastures” and black-land prairie to “strange trees shrank in size” (mesquite, perhaps) and jackrabbits. They had arrived at MAAF (formerly Sloan Field, 1927-1939, now Midland International Airport), which in early 1942 had just graduated its first class of “Hell from Heaven Men” who trained in the twin-engine Beechcraft AT-11 aircraft for wartime bombardier duty. 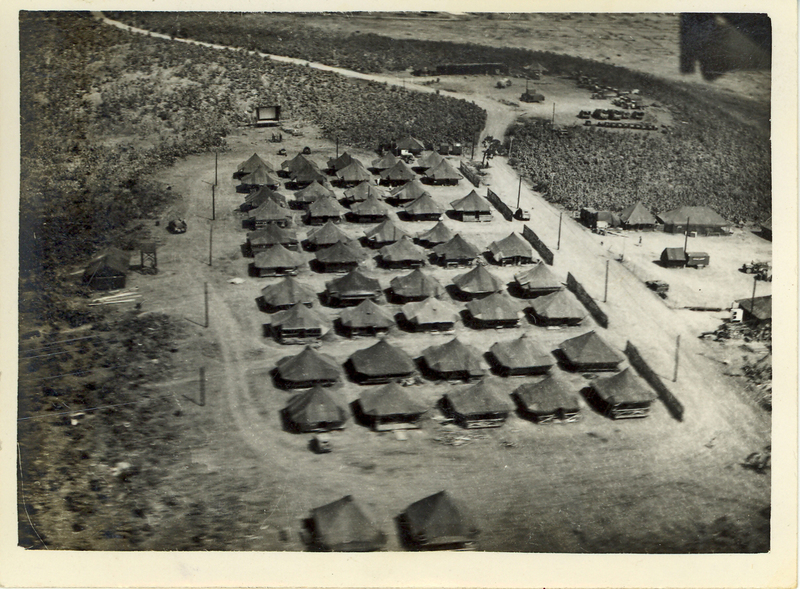 They drilled in the “Texas sun,” hauled in caliche for making walks to mess halls, day rooms and barracks and performed guard duty. How fitting that I arrived at the John C Campbell Folk School in the mountains of North Carolina on Groundhog’s day. On St. Brigid’s Day, a day of beginnings, a time underground when seeds are awaken eventually to reveal their tiny sprouts peeking above ground. A day to begin again on the work to tell my mother’s story of her life in the war years of 1942-1945. 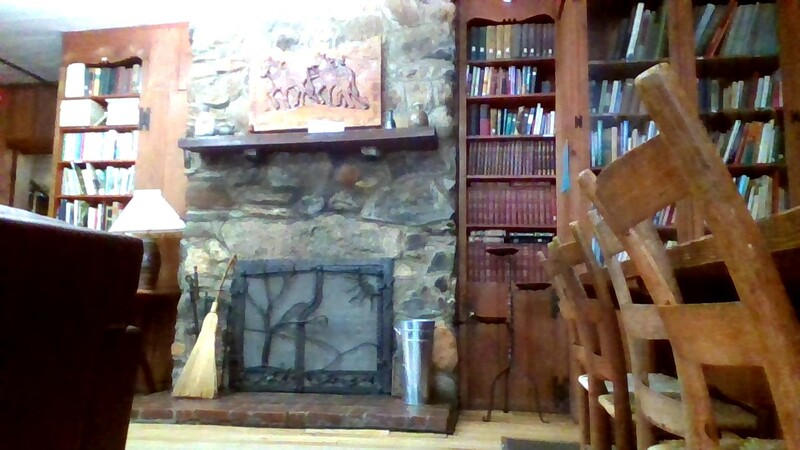 I am sitting here in a cozy library with stone fireplace and dark paneling surrounded by books on the last day of my creative nonfiction writing class. I am surrounded by all kinds of books, books on making bread, the healing arts, blacksmithing, basketry, weaving, painting, woodworking and the history of the people and their crafts who lived in these mountains. Yesterday our class read their writings in this same library to the other guests at the Folk School. The readings varied as much as the writers themselves. I read a piece written about an all women select cryptologic field unit stationed in Dutch New Guinea in January 1945 as they try to cope with the difficulties of war, the tedious work load and dreary monsoon season. I hope you follow my journey as I continue my research to connect the pieces to tell a story that needs to be told.